Part 3 - Skin & Sebum! Can not washing your face cause premature aging? This is part three of my previous post, "Can not washing your face cause premature aging". Recap of part one, premature aging, and collagen: Click here to read part two. Our skin produces oil as a way to protect it from bacteria, and other environmental baddies in the air. With dry skin, it lacks oil, the stuff that makes a barrier for protection. Your skin is more prone to "cracking", and patches of dry skin or flakiness. 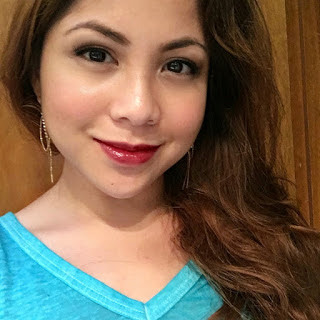 When I lived in the east coast, my cheeks would be the driest part of my face during winter, and there would be times when it itched from dryness. I had to use face oils to sooth the itchiness, and redness. Since my skin was drier with no sebum to coat it for protection, it was more prone to bacteria and environmental pollutants getting trapped on my skin. My favorite face oil would be argan oil, which also is great for hair, skin healing and acne. With oily skin, or oily combination skin (that's me), bacteria will start to grow with that build up, and can cause a "blockage" in our skin. Often times, inflammation will occur. This dirty, no good, blockage and inflammation can cause some painful acne, which is something I understand completely. I remember my cheeks feeling sore when I would wash my face. Now that I have oily skin, I use blotting papers more often, and make sure I stay away from skin scare products that have alcohol in it. Alcohols makes your skin drier, which makes it think it needs more sebum; hence, oilier skin. Did I mention that a build up of dead skin, and make up, will make your skin texture rougher? After college, I moved back to Hawaii. My father had been stationed there, and we stayed for about 6 years. I had thought that being in the Philippines, I would be accustomed to the weather in Hawaii. My thoughts were half right. While it was hot, I also lived on an island. Not a city. I didn't understand that back then, and my skin started to break out with all kinds of acne. At least it looked that way to me. Skin issues that didn't appear when I was in college, caught up to me. Pimples upon pimples that brought my self-esteem down. Can you imagine looking in the mirror, and disliking what you see? I realized one day, after I was reading a book about skin, that I was not washing my face properly, nor was I exfoliating it. There wasn't a product that helped with my skin, even though I knew what I was doing wrong. What did I do to help with my acne? I was walking around the mall, and got duped into buying somethint from Philosophy's cleanser, Purity, and another product that, I believe, has been discontinued. It reminds me of the Baviphat Urban Dollkiss Mango Magic Brightening Mask. Unfortunately, Philosophy's Purity only worked for so long with me. I started breaking out again, as my skin started to feel drier, though I only washed my face with this only twice a day. I think may work for my skin now, since I've it's become oily combination due to the climate (It's like the surface of the sun down here), and I also take birth control pills, which adds to oily skin (due to hormone changes). I believe the alternative product is the Microdelivery Daily Exfoliating Wash. Both Philosophy products are still one of the best western skin care products I've tried. It wasn't until I found an Korean Sheet mask, and a Japanese exfoliator that made my skin problems seem less of a problem. After exfoliating my skin, I had used the Korean Sheet mask, and woke up the next day with amazing results, which just made me realize my love for Asian skincare products was just beginning. Washing your face is good practice, and will give it that breather, and hydration our skin needs to make a stronger barrier against antigens, and environmental pollutants that sunscreen and makeup attracts. It will not only help you look younger, with also help keep your skin healthy. It will only take about 3 minutes of your time to clean your face. Exfoliation also helps remove the dead skin cells from our face, which in turn helps collagen regeneration. Washing our face, while it isn't exactly exfoliation, helps to break or wash away those dead skin cells. Combine cleansing and exfoliating, and boom, clearer skin. You don't have to have a great amount of exfoliators, like me. All you need is one that works for you. But if you still feel like washing your face takes up too much time, there's always a way to clean your face and not take so long. Use a beauty water in the morning if you don't want to wash your face. It can be used at night, too; though I recommend washing, or cleansing. Son and Park Beauty Water is one of my favorite cleansing waters, it has a bit of exfoliating effect. Also try micellar waters like La-Roche Posay Effaclar Purifying Micellar Water. Exfoliate while you wash your face – You can also exfoliate after washing your face. Cleanse with a cleansing tools like a konjac sponge and Clarisonic are popular and effective in clearing the face of dead skin cells. Two cleansers that I like that also exfoliates is the Cosrx Salic, and the Re:cipe Slowganic Cleanser in lemon. Use a toner – This essentially preps your skin for your serums or essences, but it also helps clear away leftover makeup, or dead skin cells. You can skin this, if you don't to add another 30 seconds to your skincare routine. 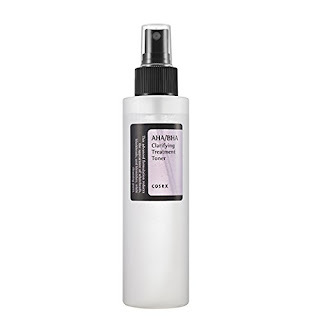 >one of my favorite toners would be from Cosrx, the Cosrx AHA/BHA Clarifying Toner. I usually buy mine at Amazon. After washing your face, I do, however, recommend that you use a moisturizer. If only to hydrate your skin, and give it some protection. To answer the question of whether or not washing your face can cause premature aging? Yes, it can cause your skin to look older. Continuous daily cleansing will help your skin look better and feel better.